The Ommegang of Brussels will come back in 2019 and take place at the end of June. 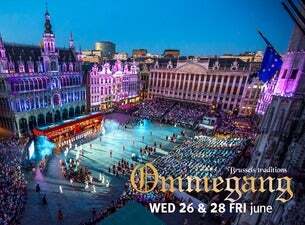 Once more, The Ommegang of Brussels opens its doors to give you breathtaking folklore, magic and animations. More than 1400 performers will help you relive an important historical moment from 1549, the procession of Holy Roman Emperor Charles V.
The director Giles Daoust will oversee sound and light for the fifth year in a row.